Access was launched by a handful of dedicated volunteers as a unique forum for established Armenian professionals to engage in timely, cutting-edge dialogue while promoting the achievements of like-minded colleagues and further developing the successes of the community. Access hosts events with guest speakers whom AGBU’s members might otherwise not be able to “access.” These intimate events offer guests a unique opportunity to listen to a speaker or panel, engage in a Q&A session afterward, and mingle and network with special guests and other attendees. Access was introduced in response to the demands of established Armenian professionals between the ages of 35 and 50 for more valuable engagement opportunities, as they have outgrown the events designed for AGBU’s network of young professionals. Building on the success of AGBU Access New York, we are excited to bring this initiative to Los Angeles. 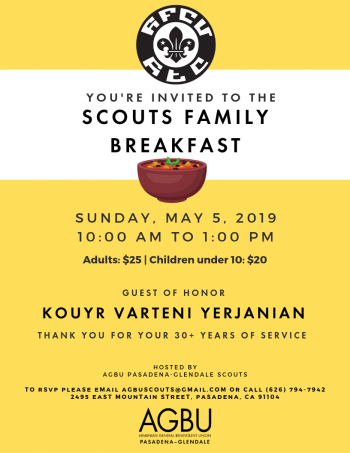 AGBU Access LA gathers a core group of professionals to organize events of quality and intimacy that allow Armenians to build valuable professional and social relationships.